A marquee event on The University of Notre Dame Australia’s Fremantle Campus annual calendar, the Blessing of Hands ceremony, was celebrated for the 28th year on Wednesday 20 March. More than 150 staff and students from the University’s Schools of Arts & Sciences, Health Sciences, Medicine, Nursing & Midwifery and Physiotherapy took part in the ceremony which recognises the importance of hands in the relief of pain, the prevention of disease and as a symbol of peace and solidarity. The blessing, conducted by Notre Dame’s Fremantle Campus Chaplain, Fr Mariusz Grzech, reflects a centuries-old tradition where the hands of kings, priests and prophets were anointed with oils which symbolised good health and strength. 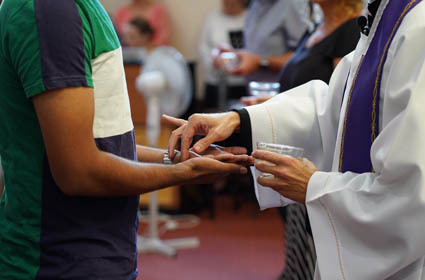 Notre Dame’s Fremantle Campus has held the Blessing of Hands ceremony since 2002. Sarah McGann, Dean of the School of Arts & Sciences, who hosted this year’s blessing, said the ceremony is an important recognition of counsellors’ ability to give a helping hand to those in need of support and guidance. “Hands are a symbol of connection and through counselling we provide a safe, supportive connection to encourage healing and recovery to mental health and wellbeing,” she said. Derek Boylan, Director of the Centre for Life, Marriage and Family for the Archdiocese of Perth and graduate of Notre Dame’s Master of Counselling, was the guest speaker at the ceremony. Mr Boylan is a sessional lecturer in counselling at Notre Dame, President of Fertility Education Australia and former president of both the Catholic Society for Marriage Education and the WA Marriage and Relationship Educators Association. Mr Boylan reflected that studying at Notre Dame has helped him to think about people in a deeper way, as whole complete human beings, and on his first experience of the blessing ceremony 15 years ago. “I am so glad we’ve continued this tradition because I would hope that any person who graduates from this university leaves with a fuller appreciation of the miracle that is the human person,” he said. 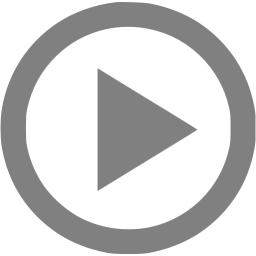 Media Contact - David Charlesworth : +61 8 9433 0569 | 0405 441 david.charlesworth@nd.edu.au.